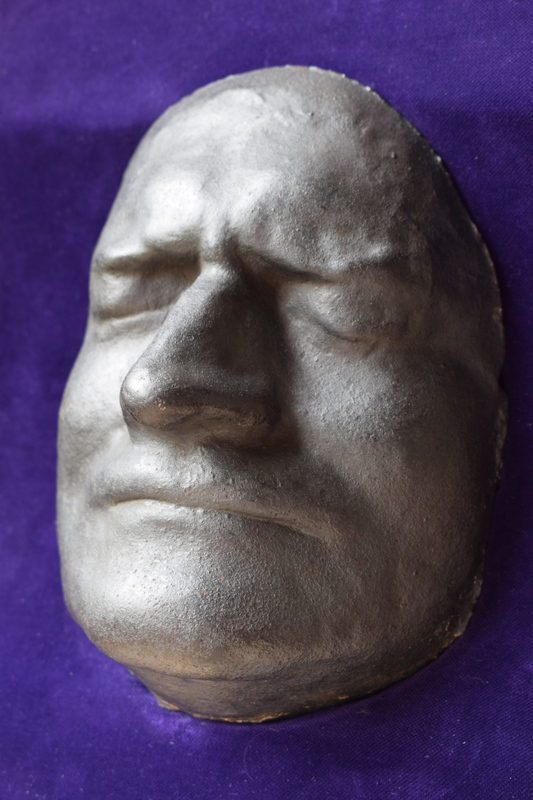 The deathmask of Isaac Newton was made for the Highgate Literary Institute, possibly to mark the 250th anniversary of Newton's birth in 1892. It was acquired by Robert S Whipple (of the Whipple Museum of Science) and was recently discovered in the Fitzwilliam Museum, before being loaned to the Isaac Newton Institute by the Whipple Museum. It conforms to plaster masks in Trinity and King's Colleges, and the Royal Society. The other known example is in the National Portrait Gallery, London.